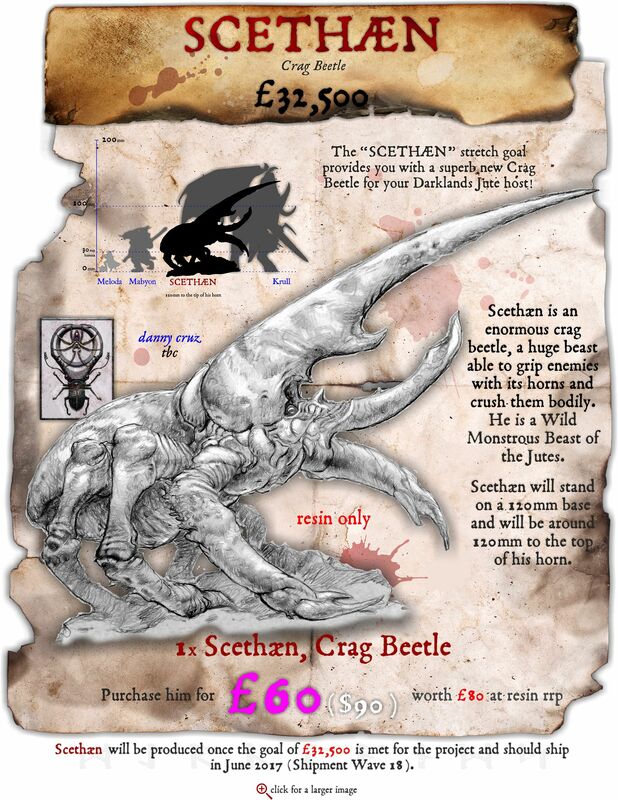 231 backers pledged £39,721 to help bring this project to life. 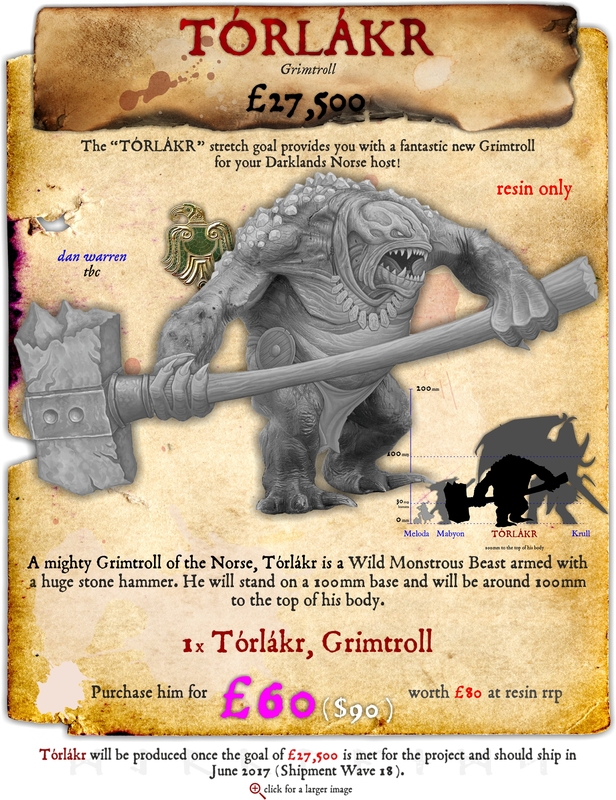 Darklands: Mighty Monsters is a fantastic Kickstarter project from Mierce Miniatures designed to fund monsters and beasts for many of the kindreds of Darklands! Backing Darklands: Mighty Monsters is a great opportunity to get into the dark fantasy world of Darklands for the first time, to expand your existing Darklands collection or maybe just to grab some fantastic miniatures to paint! Darklands is a tabletop skirmish wargame in which YOU command the hosts of man and beast that your ancestors once did for glory, power or simple survival. You can play Darklands with all of our amazing miniatures, including our incredible monsters and anything produced by this project, in a wargame designed specifically for them in a setting that you already know a lot about... for the lands of darkness, the "dark lands" as we call them, are in fact the north and west of Europe and of course the sunken lands still remembered, yet no longer seen, from ancient times. Intrigued? 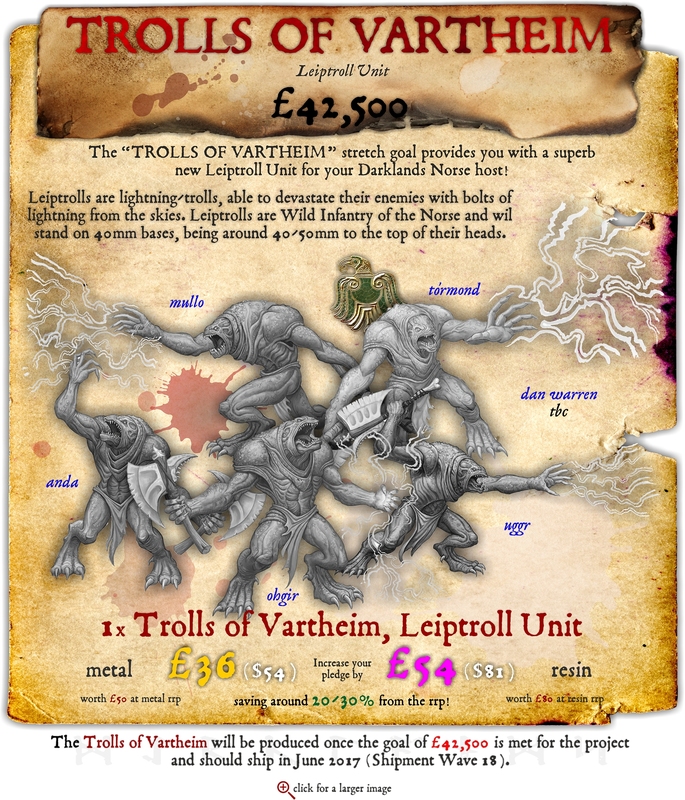 Have a look at the bottom of this project's page for more information on Darklands the wargame! 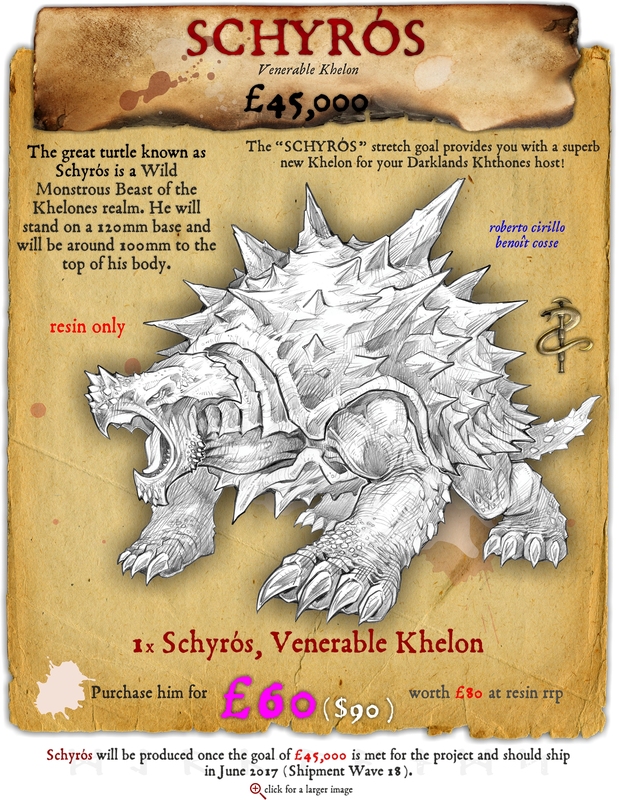 To keep things as simple as possible, this project’s rewards are built around monsters - such as the "MONSTER" and "MIGHTY MONSTER" rewards, which simply enables you to back this project for one of its monsters at a 25% discount from their recommended retail prices. 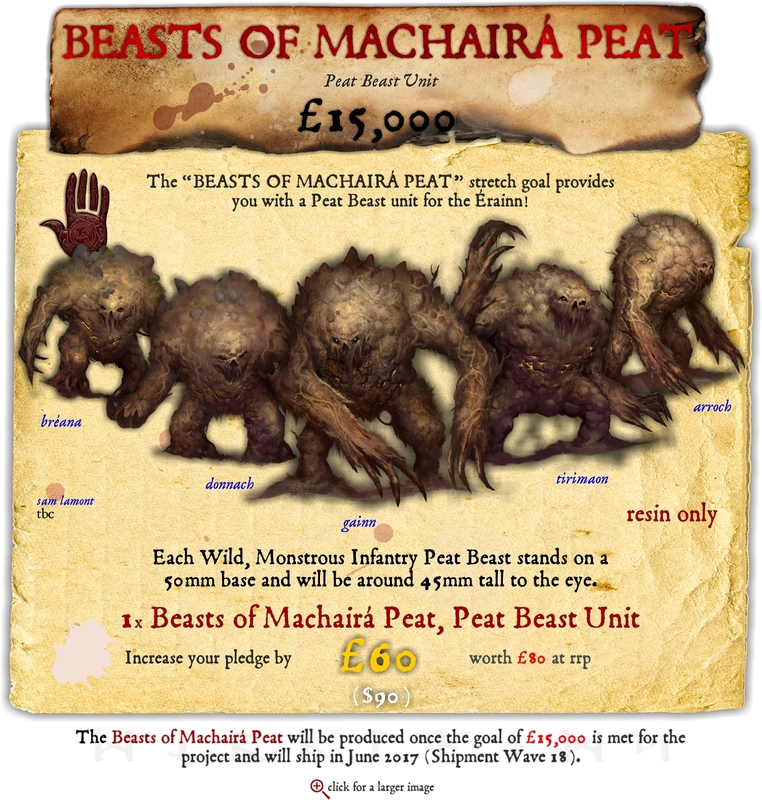 There's also some excellent combination rewards - the "FIVE MIGHTY MONSTERS" and "FIVE GARGANTUAN MONSTERS" rewards, which each give you five monsters (or units of monstrous infantry) of a certain price or below, and at a huge discount! Note, however, that these combination rewards will not be available to non-backers - i.e., you must back this project to get that deal! 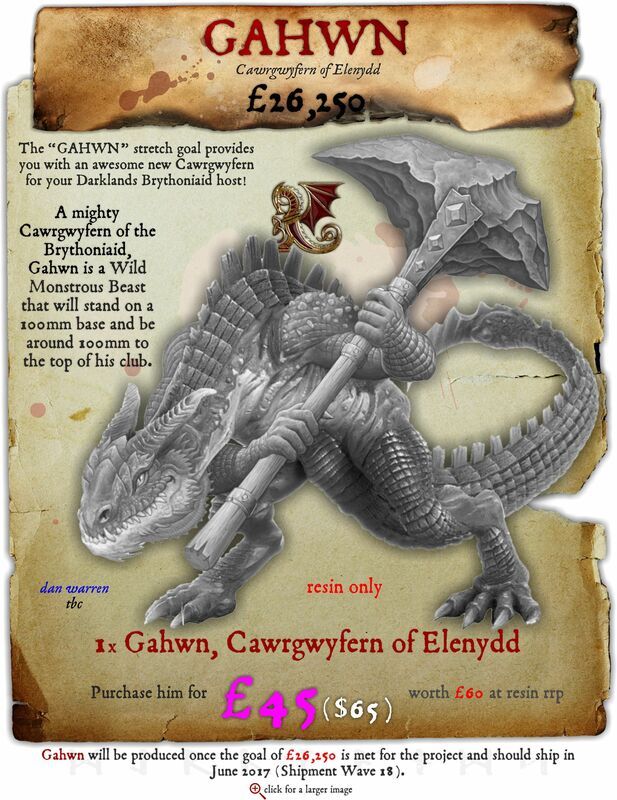 For added flexibility, we've also given you the option of choosing the "MANY MIGHTY MONSTERS" and "MANY GARGANTUAN MONSTERS" rewards, which each give you a set amount to spend, and more than you put in. 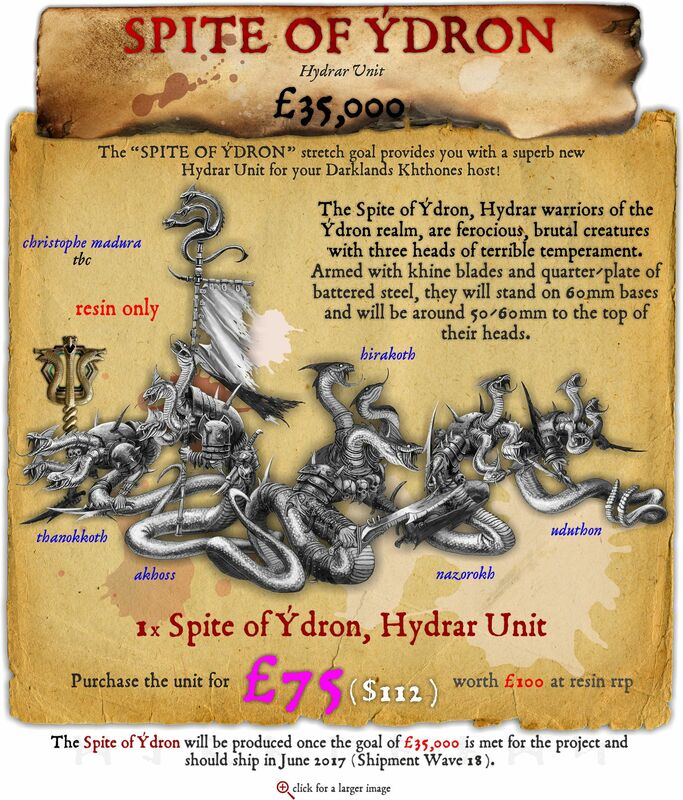 The "MANY MIGHTY MONSTERS" reward gives you £300 worth of monsters or monstrous infantry units for just £250, and the "MANY GARGANTUAN MONSTERS" reward gives you £500 worth of monsters or monstrous infantry units for just £400! 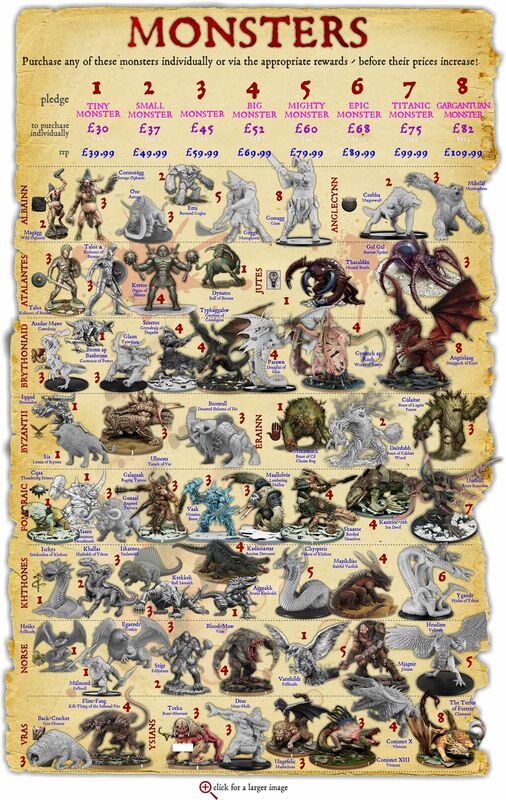 As well as rewards that allow you to pledge for monsters, there is also an “I JUST WANT SOME COOL MINIATURES” reward, for those who want to pick and choose particular miniatures from the starter hosts, other miniatures we unveil or accessories and books. There will be lots more stretch goals over the course of the project as well as the ones listed below, we hope - so watch out for those! 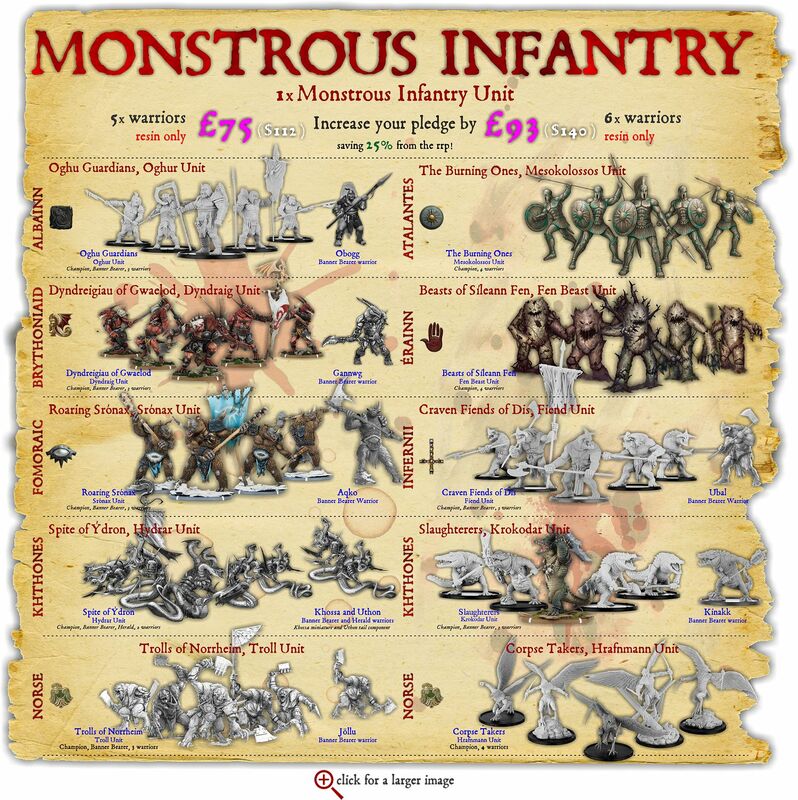 You can also use this project to purchase any of the monsters (or monstrous infantry units) listed in the graphics below, at the appropriate prices indicated by the "to purchase individually" line. Bear in mind that the recommended retail price of most of the monsters listed here will increase shortly, so you're getting a fantastic deal. 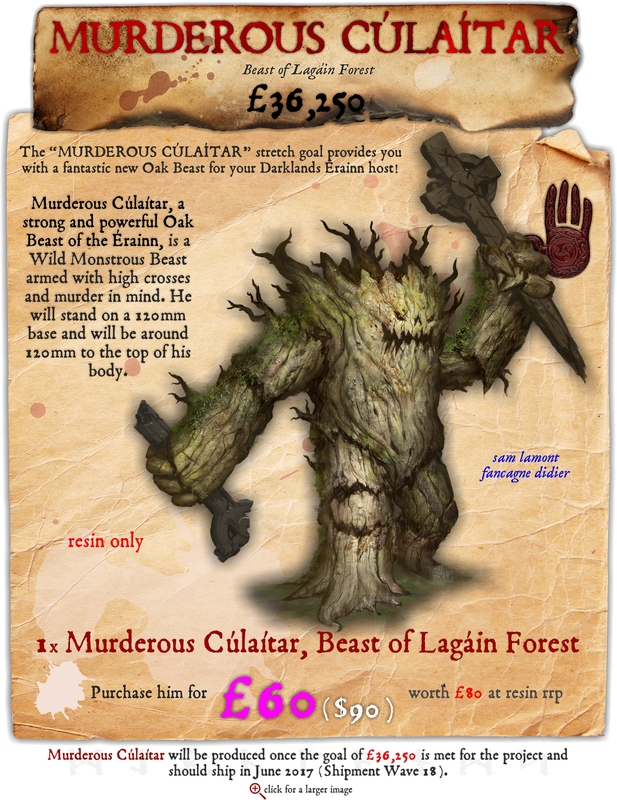 You can even include monsters of pledge level 1-5 within the "FIVE MIGHTY MONSTERS" reward! Any monsters or monstrous infantry units (that already exist) purchased as a part of this project will ship as part of Wave 0. 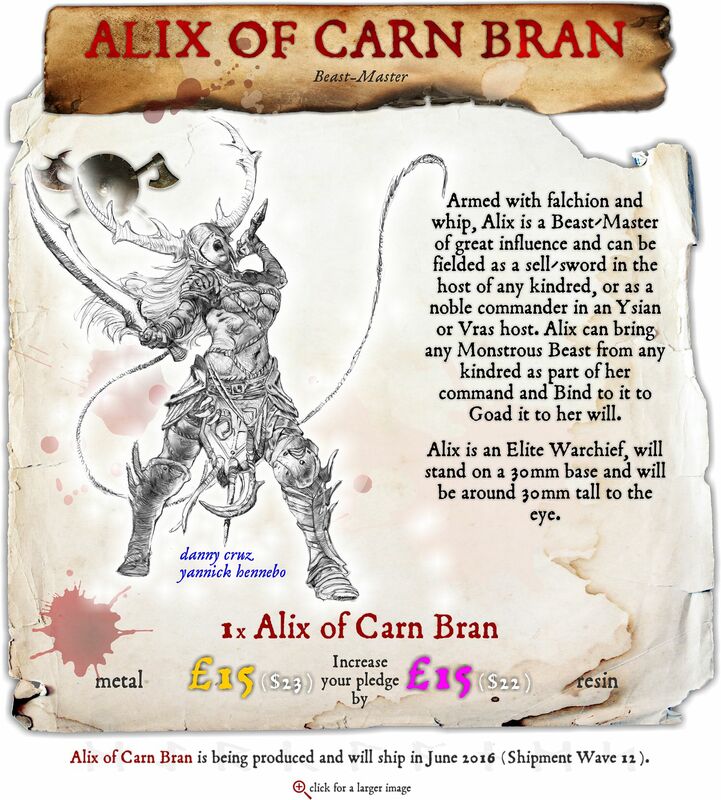 Don't forget the awesome Alix of Carn Bran, either - she means you can field any monster from any kindred in your host! Alix is a sell-sword and will work with any kindred. 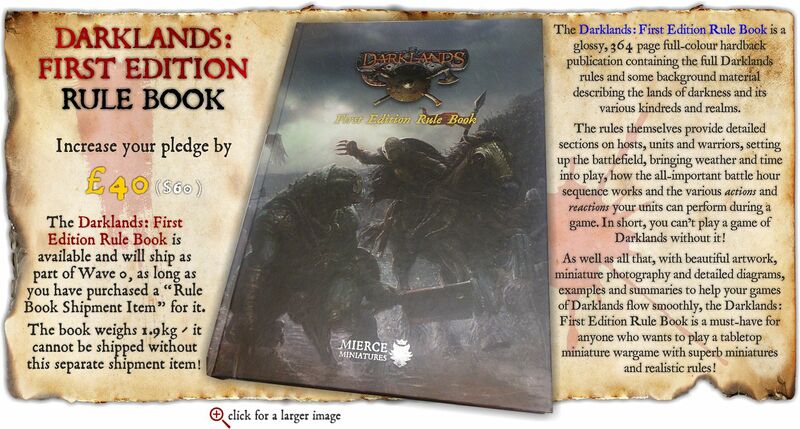 The Darklands: First Edition Rule Book is now yours to purchase! This lavish, 364 page colour hardback book contains everything you need to start playing Darklands, apart from the miniatures themselves of course. 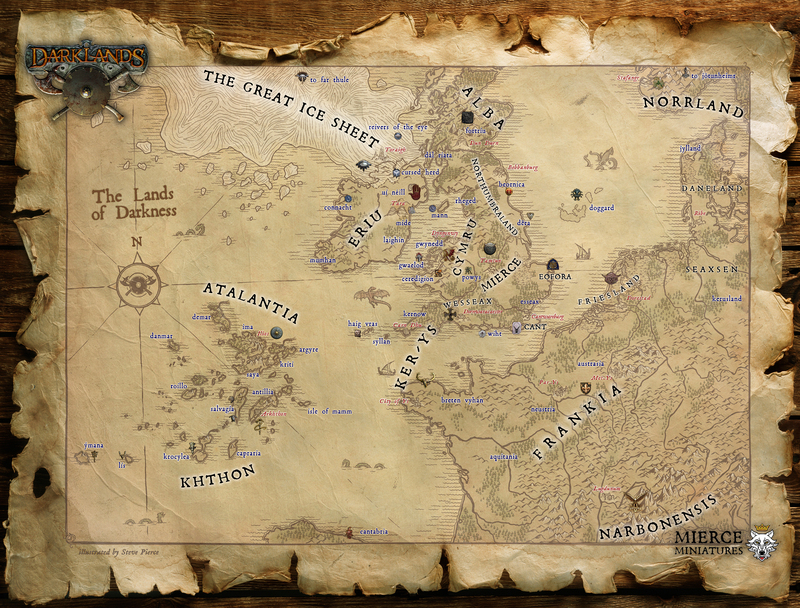 Check out the Darklands section at the bottom of this page for a brief overview of the lands of darkness and a video or two! 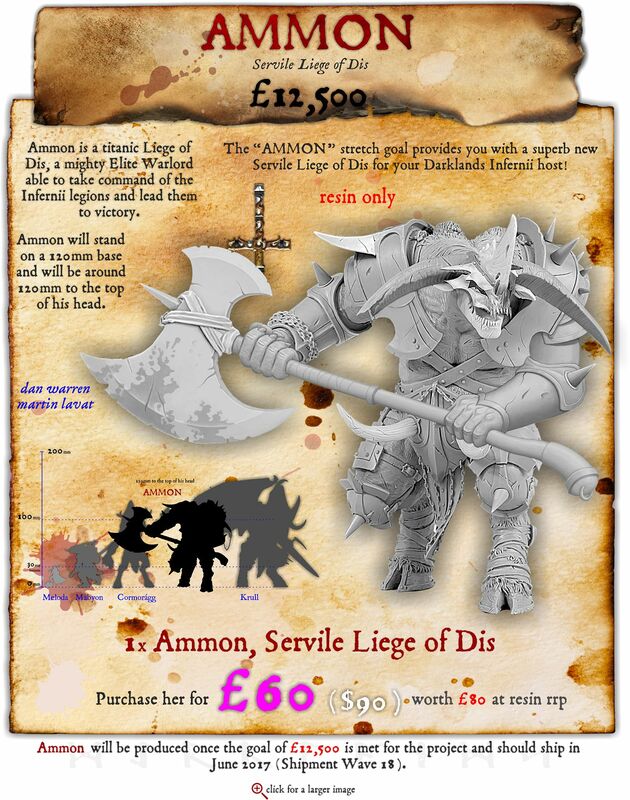 The Darklands: Savage Hordes Muster Book is central to Darklands and the miniatures unlocked by this project will be found within it. Even if you don't want to play Darklands, the Savage Hordes hardback book will give you a huge insight into the lands of darkness as a setting as well as its denizens and realms! 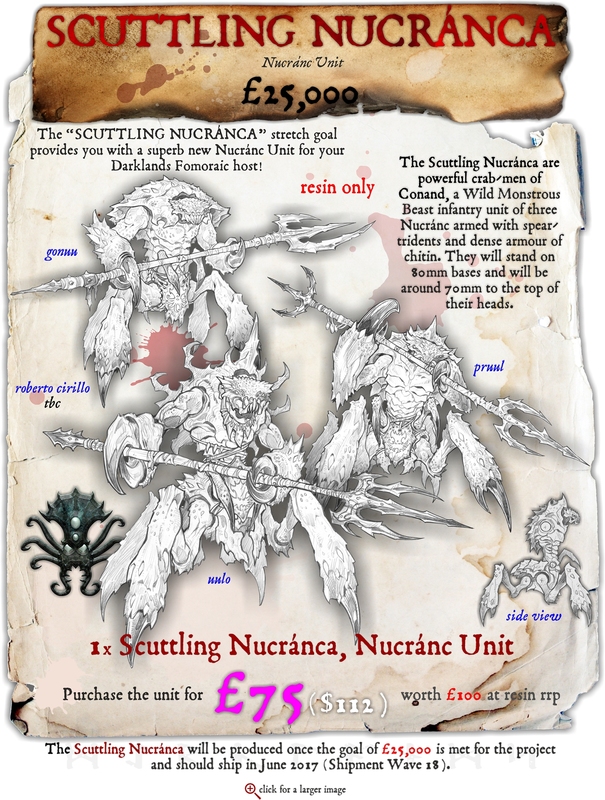 Bear in mind that the muster rules and kindred musters (containing all of the warrior profiles currently available) can already be downloaded from the Mierce Miniatures website! 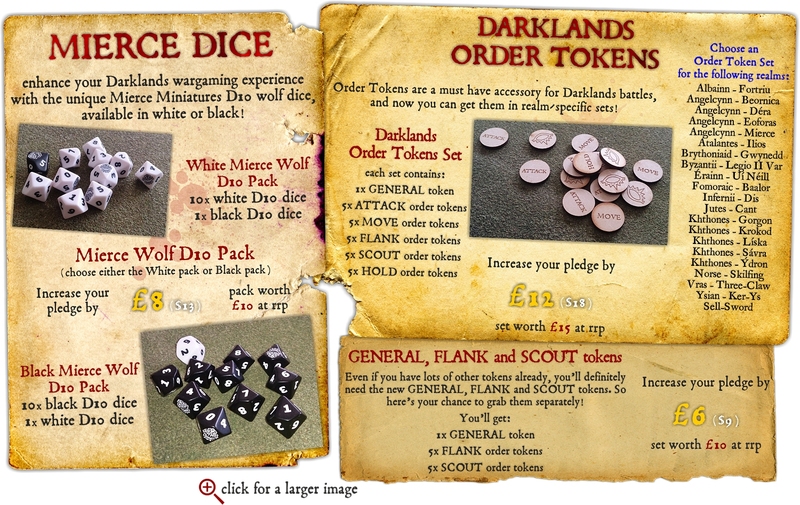 To play Darklands you'll definitely need some D10 dice and order tokens; so if you're new to Darklands and our projects, make sure you grab the Mierce Dice Set and Darklands Order Tokens Set. 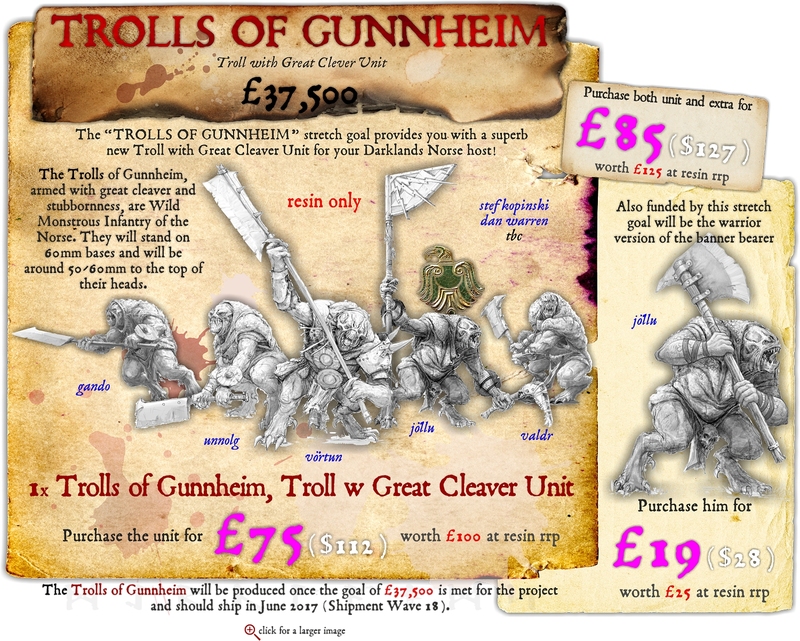 If you've already got loads of dice and tokens from previous projects, there's no need to purchase the above of course - although you will certainly need the new GENERAL, SCOUT and FLANK order tokens, which is why you can purchase those separately. 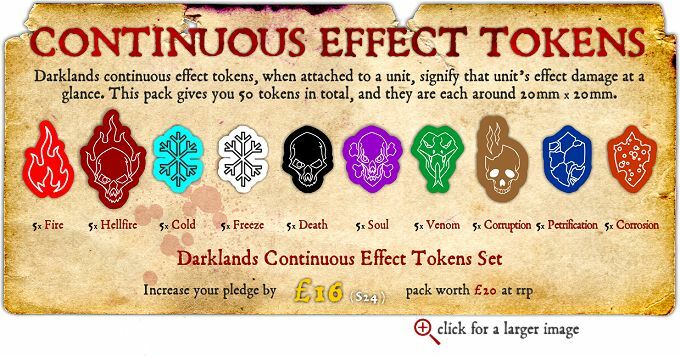 The Exult and Dismay Tokens and Continuous Effect Tokens are relatively new, so you'll definitely want some of these if you haven't seen them before! They ensure every players knows the status of your units on the battlefield. 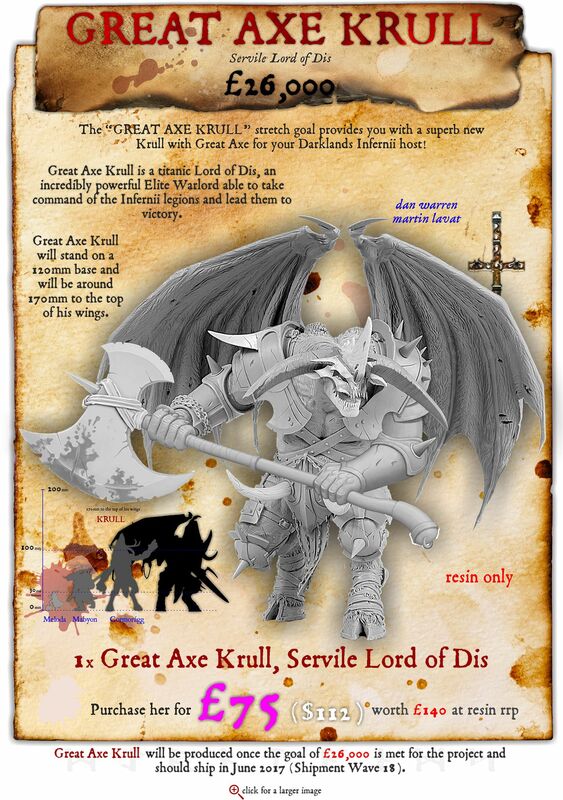 You may want some scenery and earlier Darklands Templates, too! There may well be more accessories as the project continues! 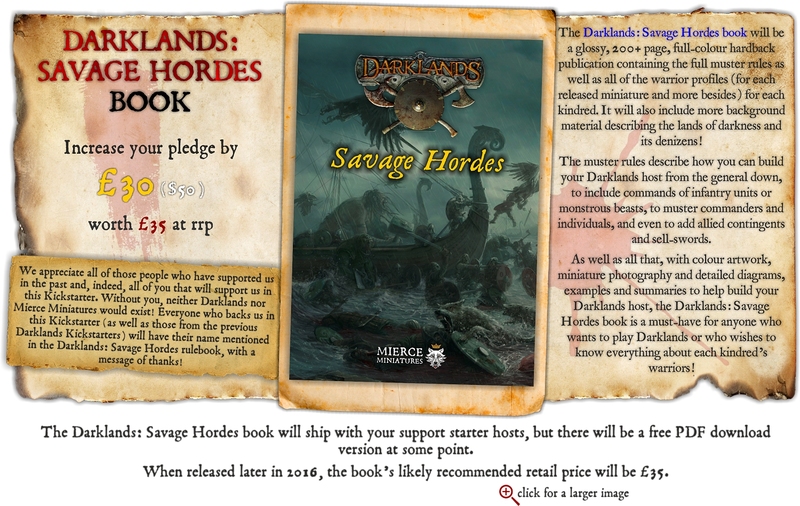 If you need further details now about how you manage your pledge, have a look at the pledge management guide from our latest previous Darklands project, Darklands: Savage Hordes, with the links below. Firstly, it must be noted that you MUST NOT pay for shipping as part of this project. 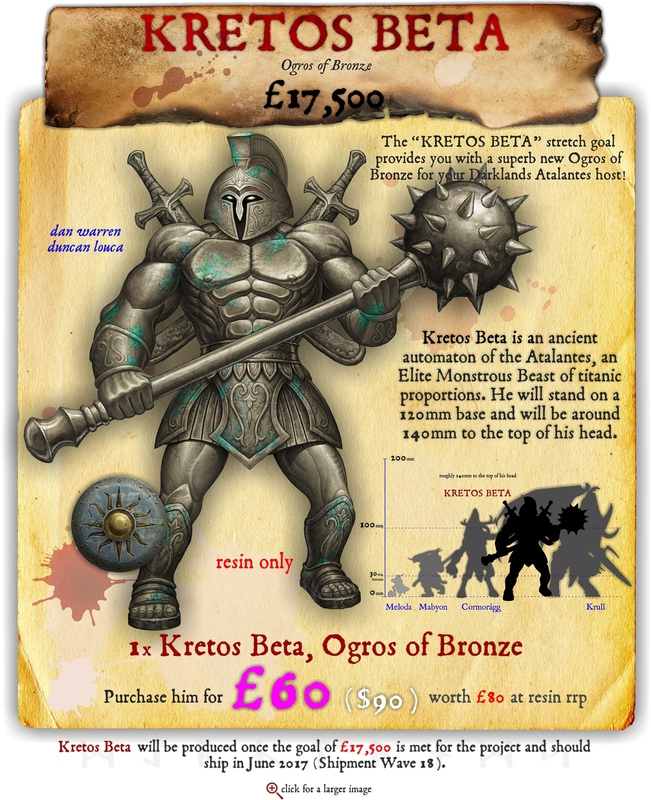 Doing so creates artificial stretch goals and reduces the amount of money we can spend on sculpts. 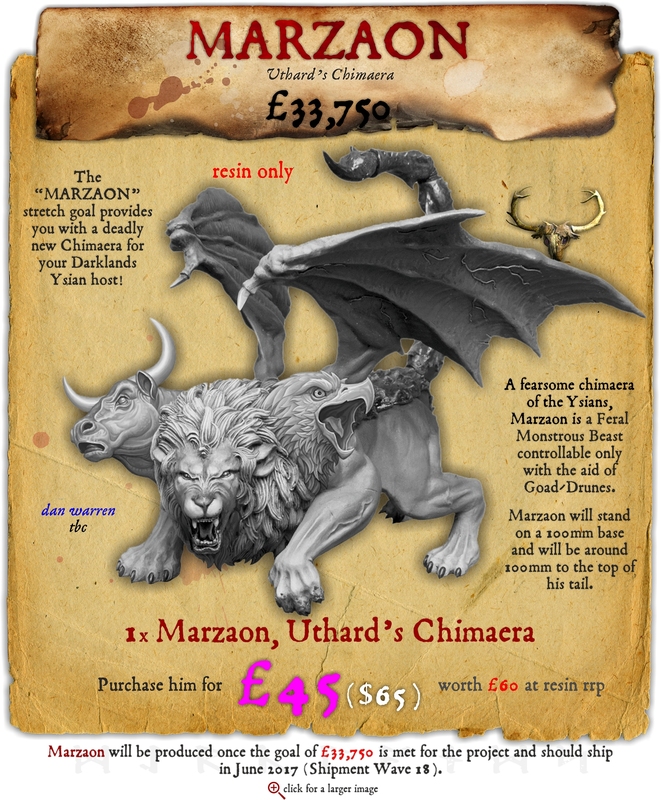 Shipping must be paid for in the project management phase (from the Mierce Miniatures website after the project ends) in the form of shipment items, at least one of which you MUST purchase. This ensures that shipping fees are charged correctly for everyone. 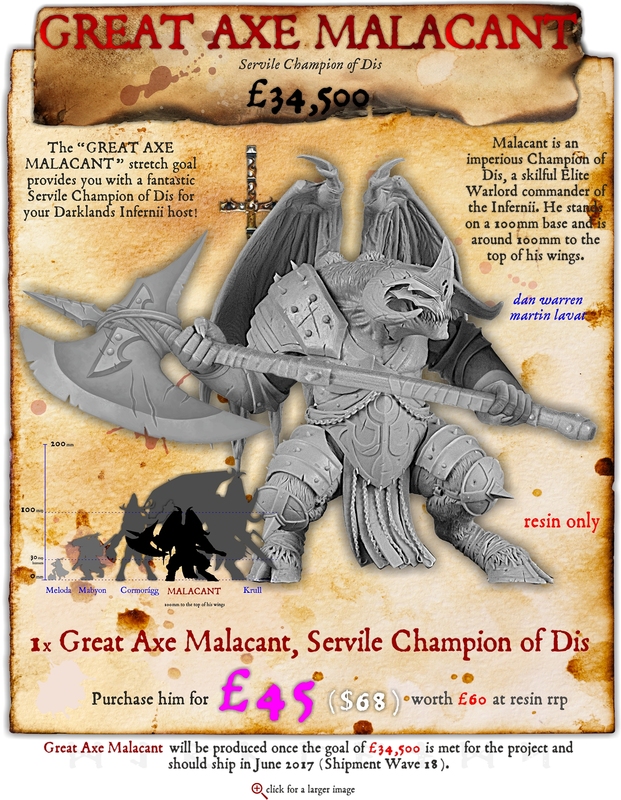 It's worth re-iterating this in big letters: DO NOT ADD SHIPPING COSTS TO YOUR PLEDGE - PURCHASE SHIPMENT ITEMS FROM THE MIERCE MINIATURES WEBSTORE AFTER THE PROJECT ENDS! Your rewards will be shipped in Shipment Waves, as indicated under each stretch goal or reward. These combine with the shipment waves from our other projects, but you MUST still purchase at least one shipment item from this project thanks to the extra weight and packaging costs. Wave 18 (June 2017): ? 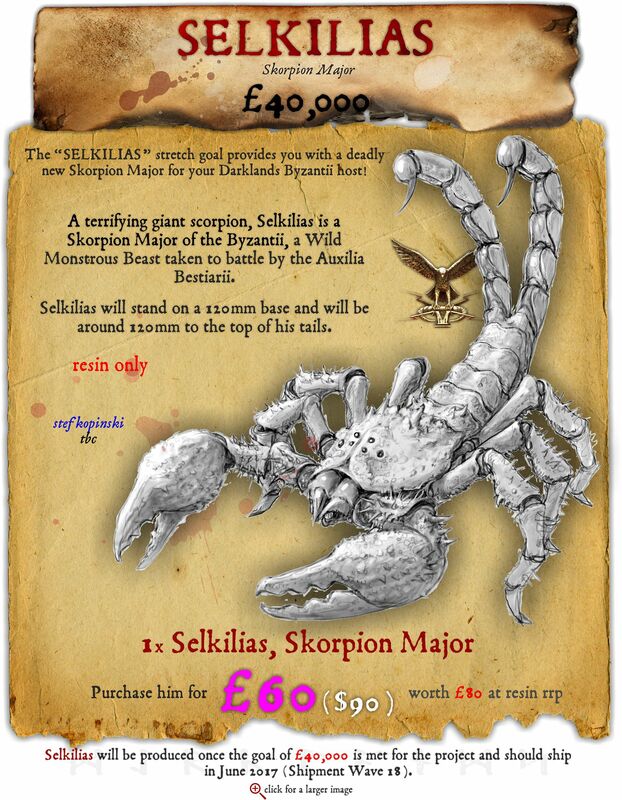 This list will be updated as each stretch goal is unlocked. In the post-project management phase, in the Kickstarter category on our website where you select the items you want, there will be Shipment Items that enable your orders to be shipped. You MUST purchase at least one of the Shipment Items - usually the Mandatory Shipment Item. The Mandatory Shipment Item for this project is the One Shipment shipment item. The first goals of this project are scheduled to ship in June 2017, which is Wave 18, and then each stretch goal after that could be shipped as part of Wave 19 or 20. So, it may be worthwhile to purchase the Two Shipments shipment item or Three Shipments shipment item. Please note that shipping times do depend on many things, not least our sculptors' time. Whilst we commission sculptors based on their availability, they do live in the real world and sometimes real world problems interfere with their work. Thus, the above times are indications only, and not cast-iron guarantees. Additionally, shipping times also depend upon how much this project is funded. 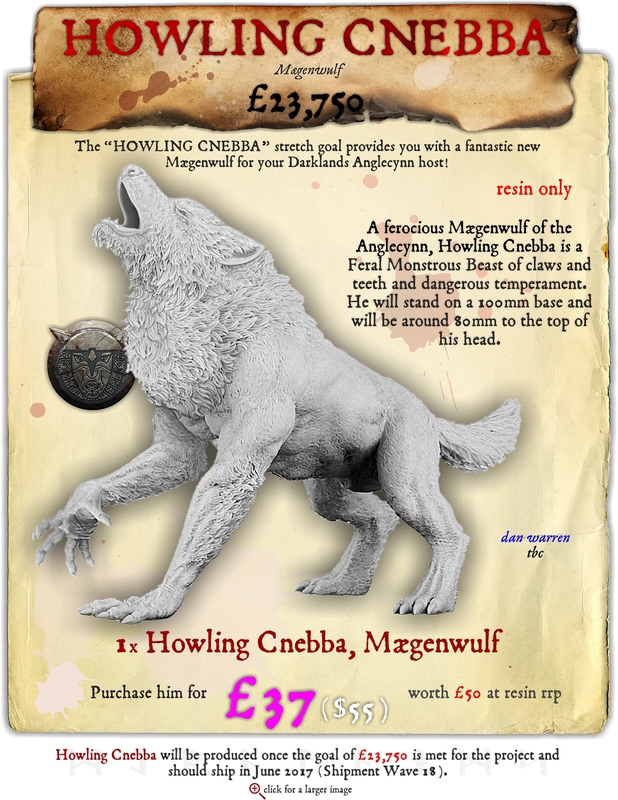 If we get a lot of money from this project, it's very likely that shipping dates will be shifted further back simply because of the time involved in casting miniatures and packing them. 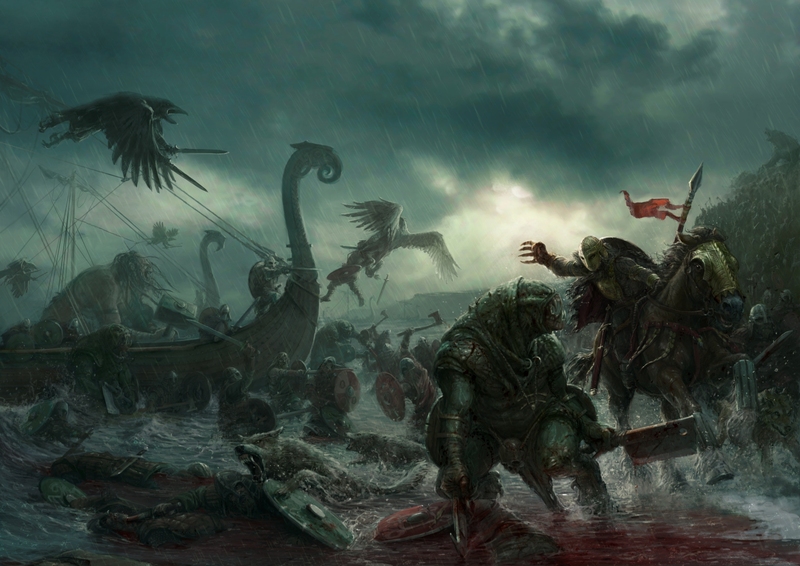 The most common shipping questions for Darklands: Savage Hordes are answered below. Can I have everything sent in one package? Yes. If you want to wait for EVERYTHING you've pledged for to be sent to you in one shipment, you ONLY need to purchase the "One Shipment" shipment item from the Mierce Miniatures webstore. Why should I purchase the "Two Shipments" or "Three Shipments" item? It's so that you are not waiting for everything in your order to be sculpted before it ships; we can send two or three shipments from your orders, when items become available. If you have any other shipping questions, please ask! Note, here, that NO shipping is free (including to the UK) for any shipment wave. Also note that NO shipping costs can be combined with earlier waves from previous projects. Whilst we can combine items from this project with items from previous projects into one package or shipment, combining shipping does not reduce the extra weight in items from this project (or existing items), nor reduce the amount of packing time and packaging material expended! Now, you can wait for all of your purchases to be produced before we ship them, of course, as this will only incur one shipping charge. If you don't wish to do that - i.e., you want your stuff as early as possible, and whenever it can be shipped - we must ask you for the shipping cost of each wave your items are within. Two young happy fellows enjoying a game of Darklands! 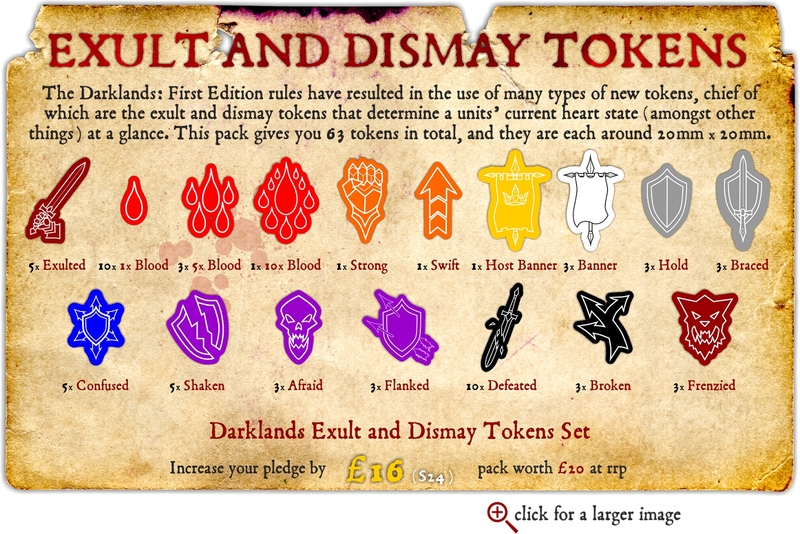 With nine highly successful Kickstarter projects concluded, three of which having fulfilled 100% of its rewards (Darklands: a World of War, Darklands: Monstrous Mounts and BaneBeasts: Mighty Monsters), two more 95% through (Darklands: First Edition and Darklands: First Edition II) and the remaining three (Darklands: New Kindreds, Darklands: Metal Age and BaneBeasts: Mighty Monsters Part Deux) in various states of progress, we believe this project has virtually no risks attached to it. Just ask the backers from our previous projects, many of whom believe they were the finest Kickstarter projects they had ever been involved in! We keep everybody in the loop with frequent project updates for each of our projects, and we usually answer any e-mails or messages within 24 hours. All that being said, sometimes those gremlins work as hard as we do too, but if there are unavoidable delays anybody who pledges will be the first to know about them via an update to the project. 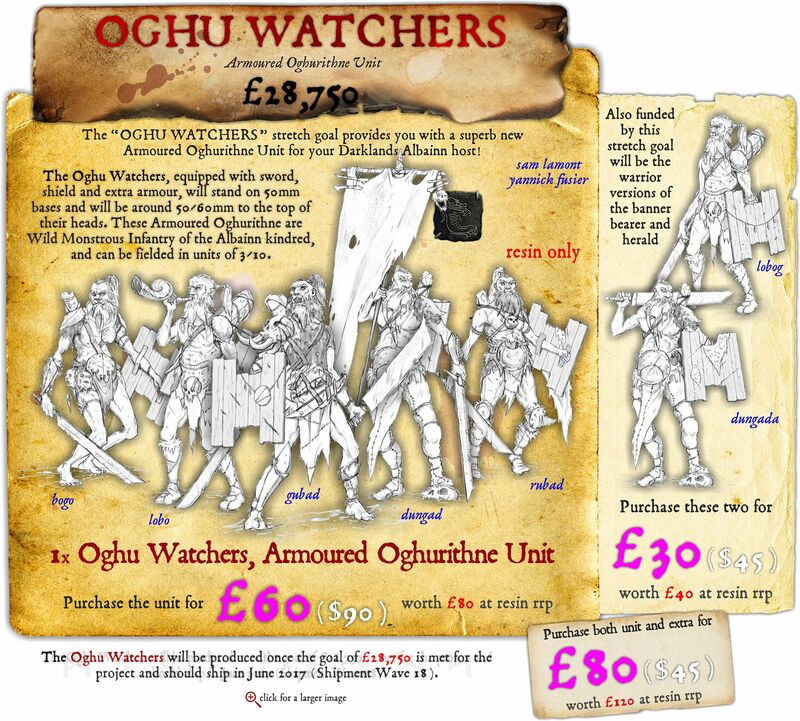 Many of the miniatures you can pledge for are already being manufactured but for those that aren't, it must be noted that the artists and sculptors we work with are genuine professionals and work very hard to meet their deadlines. I JUST WANT SOME COOL MINIATURES -- for those that just want a miniature or two! 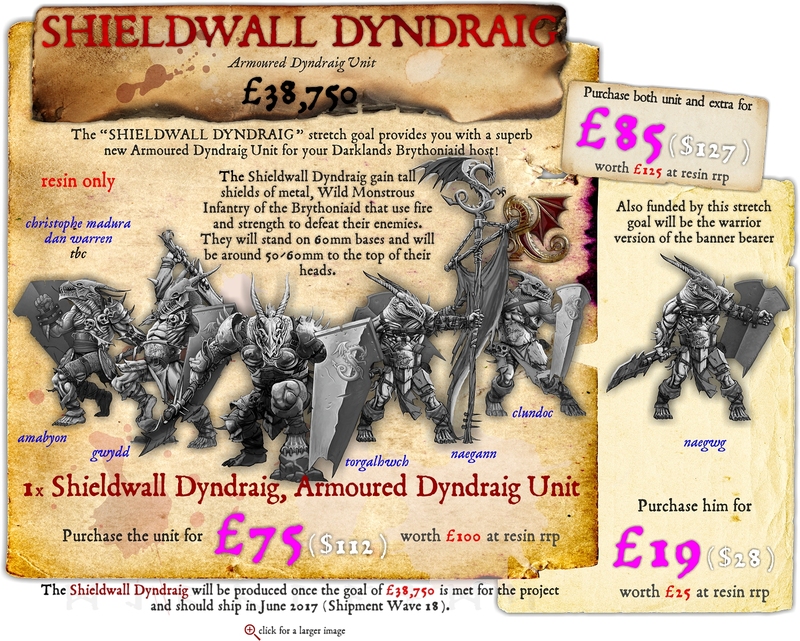 Choose any one miniature whose cost is worth £10, or increase your pledge for any other miniature or unit you would like. Note that shipping will be paid for post-project, DO NOT add shipping to your pledge. 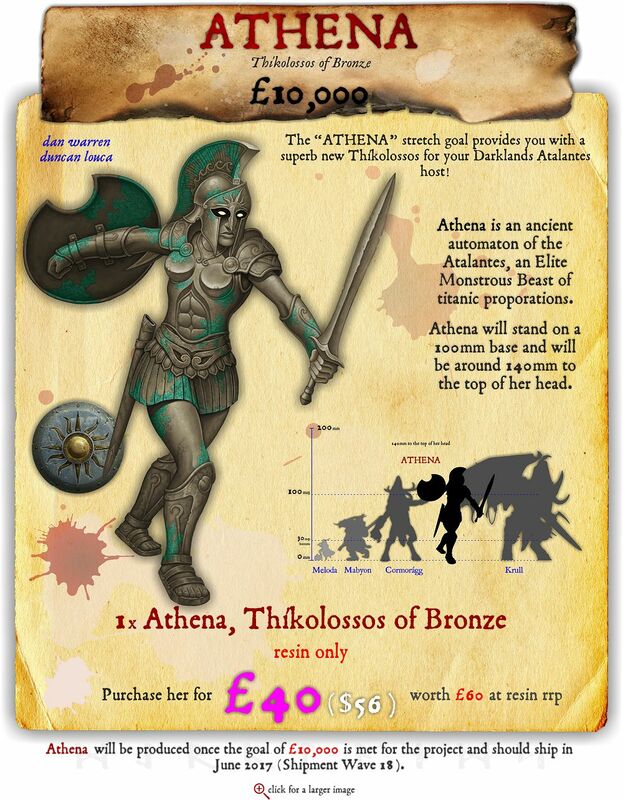 MONSTER -- Choose one monster, such as Athena, for £45 ($65)! Worth £60 at RRP. DO NOT ADD SHIPPING TO YOUR PLEDGE - purchase shipping during pledge management, after the project ends. 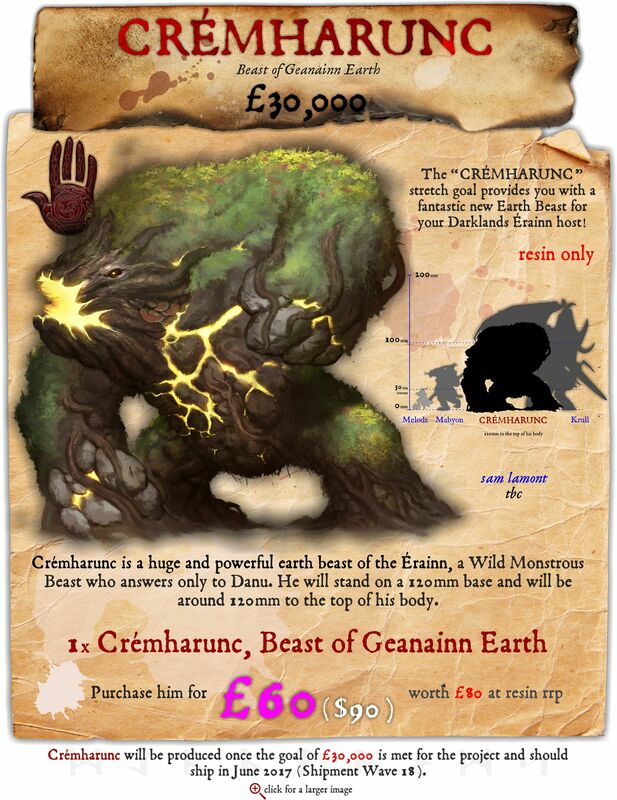 MIGHTY MONSTER -- Choose one monster of mighty proportions, such as Crémharunc or Bānbreca, for £60 ($90)! Worth £80 at RRP. DO NOT ADD SHIPPING TO YOUR PLEDGE - purchase shipping during pledge management, after the project ends. 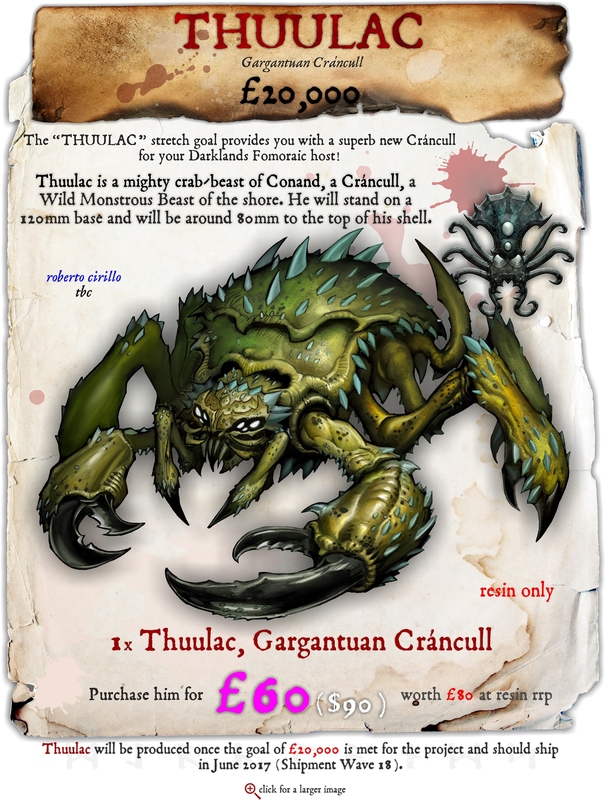 FIVE MIGHTY MONSTERS -- Choose any five monsters of £80 RRP or less, such as Thuulac or Selkilias, for £250 ($375) - effectively giving you a monster for free! Worth £400 at RRP. DO NOT ADD SHIPPING TO YOUR PLEDGE - purchase shipping during pledge management, after the project ends. 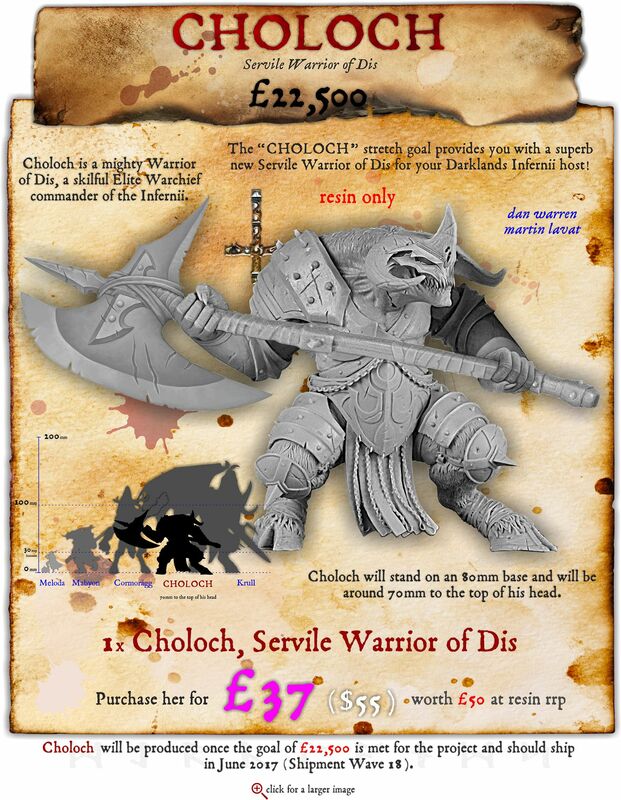 MANY MIGHTY MONSTERS -- Choose any number of monsters or monstrous infantry from this project totalling £300 (Kickstarter price) for just £250 ($375) - effectively giving you £50 for free. DO NOT ADD SHIPPING TO YOUR PLEDGE - purchase shipping during pledge management, after the project ends. THIS REWARD WILL NOT BE AVAILABLE POST-PROJECT. 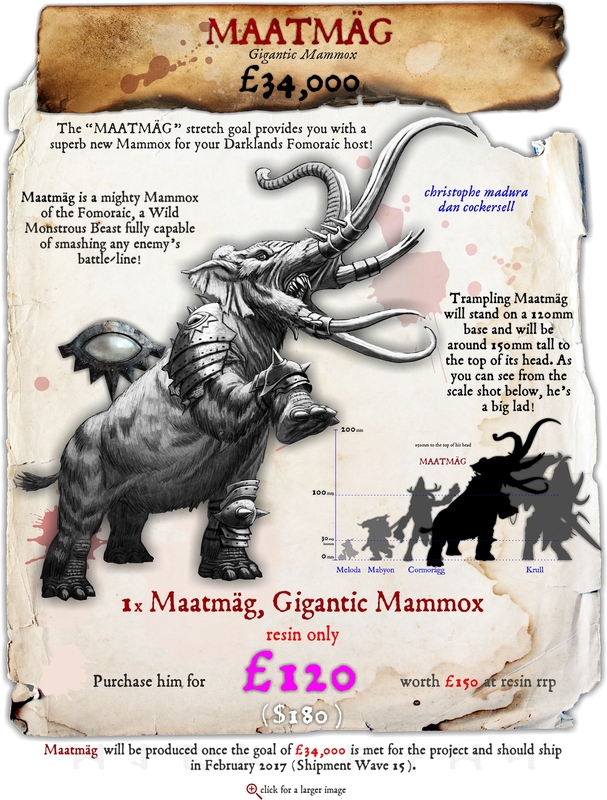 FIVE GARGANTUAN MONSTERS -- Choose any five monsters - or monstrous infantry units - of £110 RRP or less, such as Angrislaug or The Terror of Fortriu, for £350 ($525) - effectively giving you a monster for free! Worth £550 at RRP. DO NOT ADD SHIPPING TO YOUR PLEDGE - purchase shipping during pledge management, after the project ends. 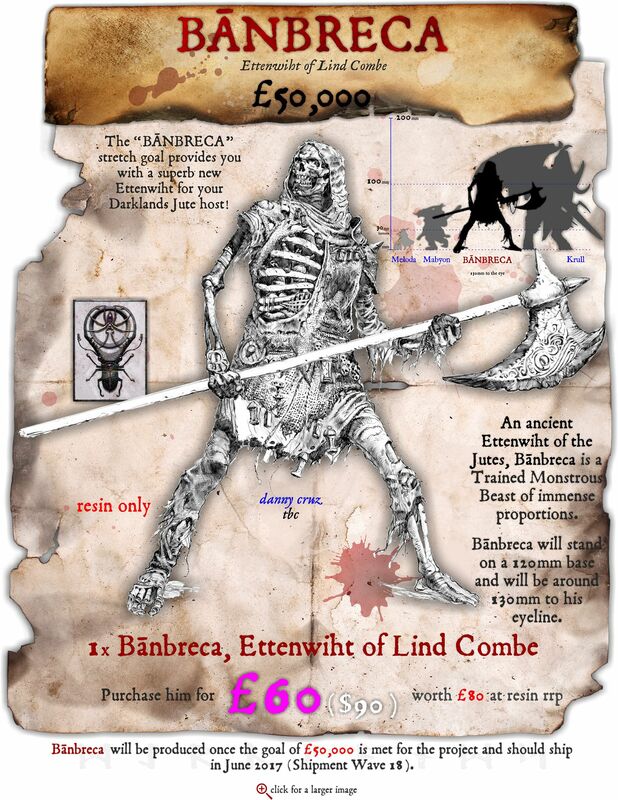 MANY GARGANTUAN MONSTERS -- Choose any number of monsters or monstrous infantry from this project totalling £500 (Kickstarter price) for just £400 ($375) - effectively giving you £100 for free. DO NOT ADD SHIPPING TO YOUR PLEDGE - purchase shipping during pledge management, after the project ends. THIS REWARD WILL NOT BE AVAILABLE POST-PROJECT.